Geared to the needs of the sheet-fed and web offset printer, Gans Ink & Supply Co. employs a full-time development staff dedicated to researching and sourcing new and superior varnish vehicles. This nationwide effort has allowed Gans to consistently formulate inks that improve quality, productivity and profitability. In addition to our ever-evolving product line of commercial inks, Gans offers the highest level of technical assistance available today, at no extra charge! 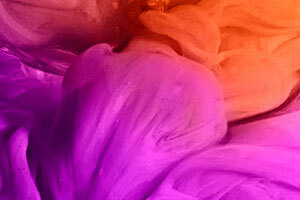 Whether your needs include custom color matching services, custom ink formulations to address specific performance characteristics, color management assistance based on process controls, press fingerprinting or color-space profiling for your entire workflow, Gans Ink & Supply has expert trained technicians on staff to assist you! Please take a few minutes to review our most popular commercial inks, blending systems and overprint varnishes. These are proven products that are performing successfully in both large and small commercial print shops across the country. ISO-GT: Specifically formulated for the most modern of today’s high speed presses. This particular series is the latest in our “Green Technology.” The ISO-GT four color process ink series demonstrates exceptionally high color strength, while allowing for the widest latitude of ink and water balance. Rated for presses that exceed speeds of 15,000 impressions per hour. RESOLUTION: Our fastest setting inkset to date, RESOLUTION process inks are much more than just a quick-set formulation! With RESOLUTION’S extremely fast set-speeds, printers state that the inks virtually dry-trap between units, even at the fastest production speeds; thus achieving the highest overprint trap values. Because RESOLUTION wet-traps so well, printers are able to reproduce a much larger color gamut than many competitor’s process inks will allow. Additionally, RESOLUTION exhibits a very glossy finish with almost no wet density dryback and is considered finishing friendly in every way. SEASIDE: SEASIDE process inkset was formulated to be our glossiest process series, coupled with vibrant color, for a premium appearance. Printers desiring to print to ISO 12647-2 standards, or GRACoL’s G7 methodology, should note that this series has been certified by PIA/GATF for transparency, hue and chroma. SEASIDE sets fast, will run very well on a wide variety of presses and will not skin in the can, or on press, for extended periods. This series is considered finishing friendly in every way. BENGAL: BENGAL has been our largest selling process series for many years. Printers across the country can attest to BENGAL’s quick set-speeds, excellent press and roller stability, and low misting characteristics. This series will stay open in the can and on press for several weeks to maximize ink yield and economy, and is considered finishing friendly in every way. ECO-SURE! LOW VOC :The topline in sustainably formulated, eco-friendly ink technology! Gans’ low impact process series, Eco-Sure! Low VOC, has been developed to be the flagship process series of our revolutionary Eco-Sure! line of products, serving eco-conscious printers and print buyers. Eco-Sure! Low VOC exceeds the high standards for sustainably produced bio-content required for this program, qualifying all users of this premium series for Bronze Tier certification as an Eco-Sure! Qualified printer! For the best all-purpose, production friendly process ink, that also happens to be environmentally friendly, contact Gans Ink and ask for Eco-Sure! Low VOC! PLASTI-PRO: PLASTI-PRO process inks are specifically formulated for quick setting on non-porous substrates, such as vinyl and foil. In addition to faster set-speeds than traditional high-solid formulations, PLASTI-PRO exhibits excellent adhesion on a wide variety of non-porous substrates, provided they have a suitable surface Dyne level of at least 38. This series is considered finishing friendly, with limitations, so pre-testing is recommended. PLASTI-PRO can be inline aqueous coated with a coating suited to non-absorbent substrates. PLASTI-PRO is not recommended for lightweight synthetic substrates, such as Tyvek, nor for conventional paper, C1S cover or board stocks. For these substrates Gans standard Hard-Dry high solids inks are the correct choice. CASE-HARD RUB-RESISTANT PROCESS INKS: For projects that require additional rub-resistance, or for fragile substrates such as dull-coated papers, Krome Kote, Vellum, Tag and Index stocks, Gans Ink has just released our newest and hardest-drying process ink series yet! Our Case-Hard rub-resistant process inkset has been formulated for the fastest set-speed achievable with a high-solid varnish vehicle that resists scratching and burnishing better than any ink we’ve developed, when fully cured. Case-Hard process inks will allow the quality conscious commercial printer to embrace those difficult designer paper stocks with confidence! Trust Gans to give you an inkset that dries like hardened steel, with the quickest setting vehicle technology guaranteeing dependable productivity. NU-CENTURA LOW VOC: For printers who want to set themselves apart from the crowd, this formulation is an environmentally friendly low VOC process inkset that actually runs great on press! NU-CENTURA LOW VOC process inks incorporate a proprietary, renewable soy vehicle technology and emit less than 3% VOC’s by weight. However, the advantages don’t stop there. NU-CENTURA sets very fast on a wide variety of substrates, has very good gloss and dries harder than any other quick-set ink on the market today. The low-solvent vehicle we have developed specifically for this series is extremely press-stable, allowing for total color control throughout the run, and hassle-free performance on FM screened plates. NU-CENTURA will stay open in the can and on press for extended periods, and is considered finishing friendly in every way, including laser imaging. If you’re tired of competing with off-shore and local printers that promise the lowest price, why not offer your customers something those printers will never be able to offer; ENVIRONMENTAL FRIENDLINESS! PRE-SYSTEMS LASER SAFE: Gans Pre-Systems inks have been formulated specifically for laser imaging post-processing. Certain substrates, such as dull coated papers, are often inhospitable to conventional inks, even inks that are otherwise safe for laser imaging. In some cases Gans Pre-Systems inks may perform better under less than ideal circumstances. Pre-testing is always required for guaranteed results. Contact your Gans Technical Representative for more information. QUICK SET SFP: Our standard Sheet-Fed Printing blending inks have been formulated for the fastest setting speeds of our 3 primary sheetfed blending systems. Our SFP bases and PMS blends are “finishing friendly”, using only high-melt waxes that protect the surface of the ink and provide high gloss, while holding up to off-line foil embossing and lamination* post-processing. Bleed resistant pigments must be specified when aqueous or UV coating. Laser imprint compatibility should be pre-tested due to the wide variety of substrates available today. This series has an average stay-open period of about 6-10 hours before beginning to develop a skin. STAY OPEN BGP: Gans Bengal blending series was developed after the proven success of our Bengal Process series. Bengal mixing bases and PMS blends will allow the commercial printer the widest water tolerance, or window, possible with an oil-based ink. These inks are lower in VOC’s, low misting, and will not develop a skin in the fountain or can for at least 2 weeks, some colors even longer. Bengal inks will save you money by maximizing press time (fewer wash-ups) and minimizing or eliminating wasted ink in the can. Gans Bengal blending inks are “finishing friendly” for foil embossing, lamination* and laser imaging (on uncoated paper). Bleed resistant pigments must be specified when aqueous or UV coating. *Some laminates and coatings have the potential to “bleed” or alter the appearance of some pigments. It is recommended that standard pigments be pre-tested when laminating or coating. SOY BASED SPP: Gans Soy-Plus is a soy-based blending system containing more than 20% soy oil, allowing the commercial printer to use the official “Printed with Soy Oil” logo of the American Soybean Association. Perfect for the environmentally conscious print buyer because these inks are formulated with the maximum level of renewable vegetable oils possible, Gans Soy-Plus inks achieve the highest gloss of our 3 primary sheet-fed blending systems, with excellent scuff-resistance. This series has an average stay-open period of about 12-15 hours before beginning to develop a skin. Gans Soy-Plus blending inks are “finishing friendly” for foil embossing, lamination* and laser imaging. Bleed resistant pigments must be specified when aqueous or UV coating. HARD DRY HDP: Gans Hard Dry Scratch Resistant blending system has been formulated for use on non-absorbent substrates such as vinyl, acetate, mylar, foil and Tyvek. Additionally, hard dry inks are strongly recommended for use on dull and matte coated papers, as well as most uncoated, tag and index papers. These finishes tend to scratch easily in bindery and many post-printing processes, and a hard dry ink can often minimize the damage. Gans Hard Dry Scratch Resistant inks are not considered finishing friendly. This series has an average stay-open period of about 4-6 hours before beginning to develop a skin. RUBBER BASED RBP: Gans “Double X” Rubber Based inks have been an industry standard for years. Formulated to improve performance with limited and difficult dampening systems, as well as with paper and poly plates. Our Double X inks will stay open for extended periods, while drying extremely fast on most uncoated paper stocks. This series is considered “finishing friendly” for foil embossing and lamination*, however, laser imprint compatibility should be pre-tested due to the wide variety of substrates available today. Bleed resistant pigments must be specified when aqueous or UV coating. WEB BASED QS: Gans Soytech Rotary Web is a soy-based blending system containing more than 20% soy oil, allowing the web offset printer to use the official “Printed with Soy Oil” logo of the American Soybean Association. Stable and clean running, Gans Soytech blending inks provide excellent transfer and enriched color density. Far from a simple forms ink, this system will allow the quality conscious web printer to achieve a higher resolution printing, with more vibrant colors, than conventional rotary web inks. Gans Soytech rotary web inks are “finishing friendly” for foil embossing, lamination* and laser imaging. All ink formulations begin with varnish. Gans Ink & Supply has created our own varnishes for over 50 years using the highest quality raw materials available today. Whether you need the highest gloss achievable, the hardest surface for scuff resistance, the dullest finish for elegance or a finishing friendly sealer for your printed material, Gans has the superior varnish for you. DIAMOND SHEEN: By far our most popular gloss varnish, Diamond Sheen is a proven product that printer’s have depended on for visual “dazzle” for years. Diamond Sheen is a very fast drying gloss varnish, with excellent clarity and very good scuff resistance. This Varnish is not considered finishing friendly. MARLITE: This varnish is the fastest drying gloss varnish Gans manufactures. While not as glossy as Diamond Sheen, Marlite has been formulated for high volume production environments that require ultra-quick set speeds. L-6000 OVERPRINT VARNISH: L-6000 is the glossiest overprint varnish Gans Ink has formulated. A soy-based product, this varnish dries harder than our other gloss varnishes, but not quite as fast. If ultimate gloss is what your project requires, L-6000 is the gloss varnish for you! L-8500 WAX-FREE OVERPRINT VARNISH: If your varnish project requires foil-embossing or some form of lamination Gans L-8500 Wax-Free Overprint varnish is the gloss varnish of choice. While this varnish does not set as fast as our Diamond Sheen or Marlite, L-8500 is our second glossiest varnish and has excellent clarity and scuff resistance. DRONE DULL VARNISH: Drone Dull is our dullest overprint varnish. This varnish dries extremely fast, and resists yellowing for extended periods of time. For a dull varnish, Drone has very good scuff resistance, although burnishing is always possible with dull finishes. Drone Dull varnish is considered finishing friendly. SPECIAL DULL OVERPRINT VARNISH: While this dull varnish does not dry quite as fast as the Drone dull, our Special Dull varnish dries harder and will resist scuffing and burnishing slightly better than the Drone Dull varnish. Gans Special Dull Overprint Varnish is considered finishing friendly. HI-RUB PLUS GLOSS OVERPRINT VARNISH: Gans Hi-Rub Plus Gloss overprint varnish is the hardest overprint varnish we manufacture. Perfect for protecting the surface of post cards, presentation folders or other types of printed pieces that must undergo rough treatment by mechanical devices or extensive handling. While not quite as glossy or quick setting as Our Diamond Sheen or Marlite varnishes, this varnish will dry to a much harder and slicker finish.